n the unfortunate event of having a fire, fire damage restoration is one of the most extensive types of damage that a home can take. Depending on the extent of fire damage, the silt and black carnage can be one of the most inflicting injuries that your carpet and upholstery can take. The aftermath of a fire leaves a mist of smoke and burnt remains that needs addressing immediately. If these matters are left for long periods, the damage could be irreversible and you could lose your much loved carpet and furniture. 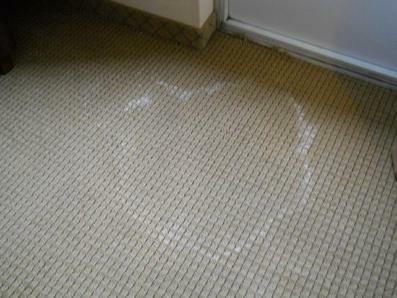 Carpet Cleaning Montreal ensures that these high priority cleanings are done in a swift and timely matter. We ensure that these urgent matters are placed as a priority. At Carpet Cleaning Montreal we bring great qualities for the use of the clients. Because of the extent of damage that a fire can produce, the idea of addressing this in a fast matter is vital to the survival of your carpets and upholstery. The smoke and fumes and the burnt spots that are often left from a fire, start the damage process as soon as there is first contact. As time goes by, the damage gets worse and worse. With the quick and reliable response from us, we assure that our promptness in the matter will soon save your much loved carpet and fabrics. This is of the utmost importance when you have fire damage in your office or home. Having a fire in your loved home or office is not only devastating to you but it also is extensive on your furniture and carpet. As a result, it takes special kinds of equipment to eliminate these damages. The well designed machines that our technicians use are made for heavy duty and professional use. The specialized detergents and cleaning reagents that are also applied make this a lethal combination for the actual cleanup that is executed in with precision and accuracy. We assure that we have the proper equipment and cleaning products to get the job done. Fire leaves not only damage with the flames, but it also causes a lot of smoke damage. We only provide the best in cleaning agents that promote healthy and safe air for our clients to breathe. We work extensively to rid your home or office from the harmful air that the lingering smoke leaves behind, by applying specialized products that subdues this nasty air and leaves a nice refreshing odor free environment that you will greatly appreciate. With these great qualities, our top priority is the client and their cleaning needs, especially in the disaster of a fire. We only want to provide the best in customer service and complete these needs in a fast and proficient manner. We respond quickly to the fire damage to take control of the situation and to stop the damage early enough. With these great attributes, we endeavor to provide dependable and steadfast service to ensure that all or your fire restoration needs are met. 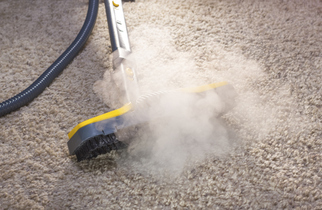 All services provided by Carpet Cleaning Montreal Pros are licensed by Steam Doctor.